In his new farming project, Ferme des Quatre-Temps, JM Fortier has set out to further demonstrate how diversified small-scale farms, using regenerative and economically efficient agricultural practices, can produce a higher nutritional quality of food and more profitable farms. La Ferme des Quatre-Temps' model includes livestock raised according to holistic management principles and incorporates permaculture design into its operations. Now entering its third year of production, the farm has firmly established itself as Quebec's leading proponent of the farm-to-table movement, providing high-quality products to some of Montreal's best restaurants as well as selling its vegetables, eggs, meat and prepared foods at farmers markets and to private members. 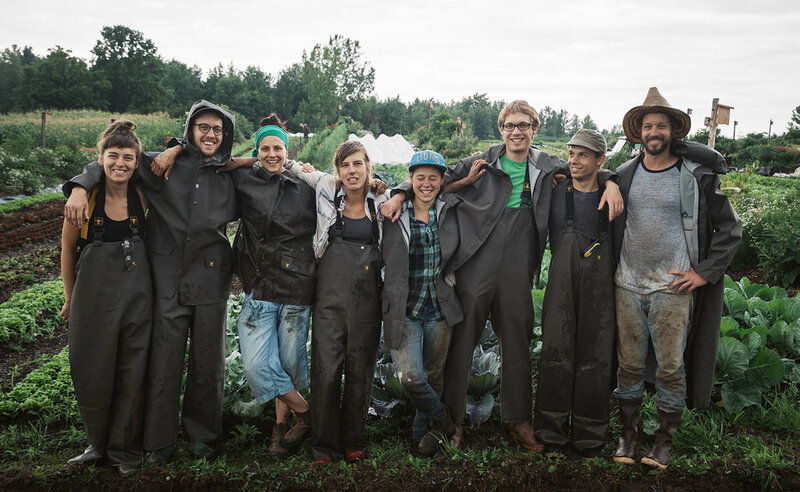 Beyond offering a new model for polyculture farming in Quebec, Ferme des Quatre-Temps is training a new cohort of young farmers with the intention of giving them the know-how, experience and resources to start their own innovative agricultural projects.